Leeds United leapfrogged Sheffield United into second place in the Championship after a 2-0 win away at Preston North End on Wednesday (NZDT). 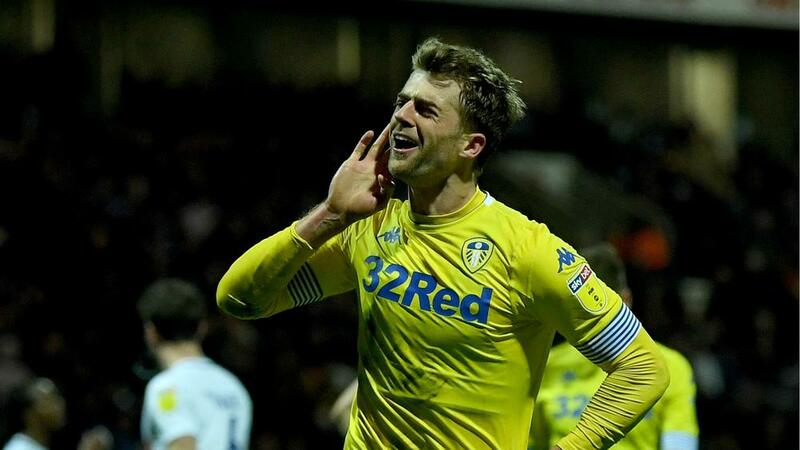 Patrick Bamford scored twice as Marcelo Bielsa's side moved two points ahead of the Blades, who are in action against Birmingham City on Thursday (NZDT). Its cause was helped by the dismissal of Ben Pearson, who received a straight red card for hauling down Bamford as he went through on goal shortly after the interval. The visitor took full advantage of its numerical superiority in the 62nd minute when Bamford powered home from 25 yards. The former Chelsea striker then added a second 14 minutes from time, heading in Mateusz Klich's right-wing cross to seal a vital three points. Meanwhile, West Brom's automatic promotion hopes suffered a potentially fatal blow with a 3-2 defeat to Bristol City. Middlesbrough boosted its play-off hopes with a win away at struggling Bolton Wanderers. There were also wins for Blackburn Rovers, Sheffield Wednesday and Swansea City against Derby County, Nottingham Forest and Stoke City respectively.